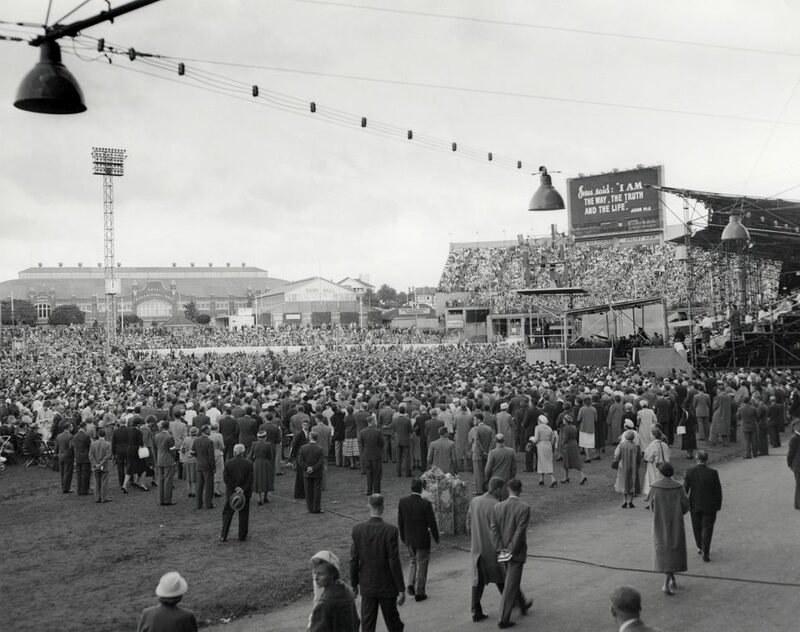 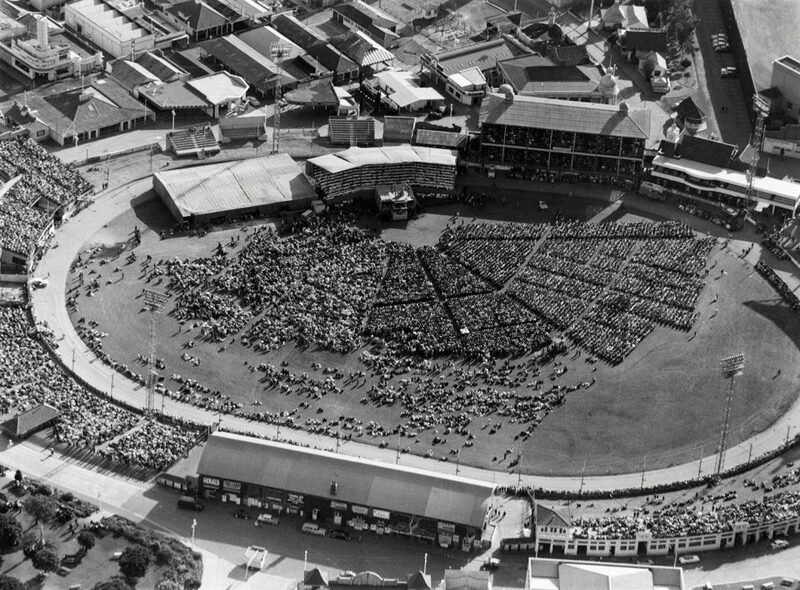 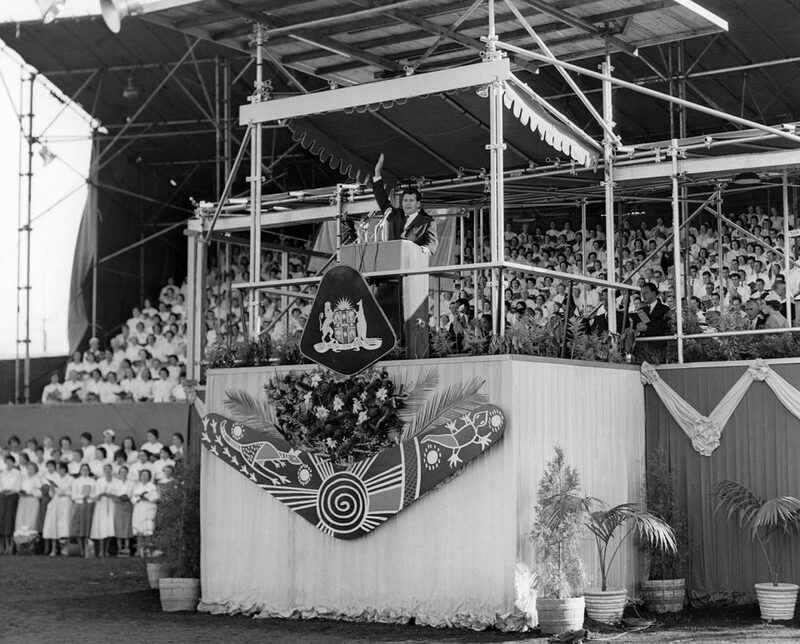 By the end of the 1959 Southern Cross Crusade, it’s estimated that half the people in Australia had heard Billy Graham’s Gospel message either at a live event or over the airwaves and telephone lines. 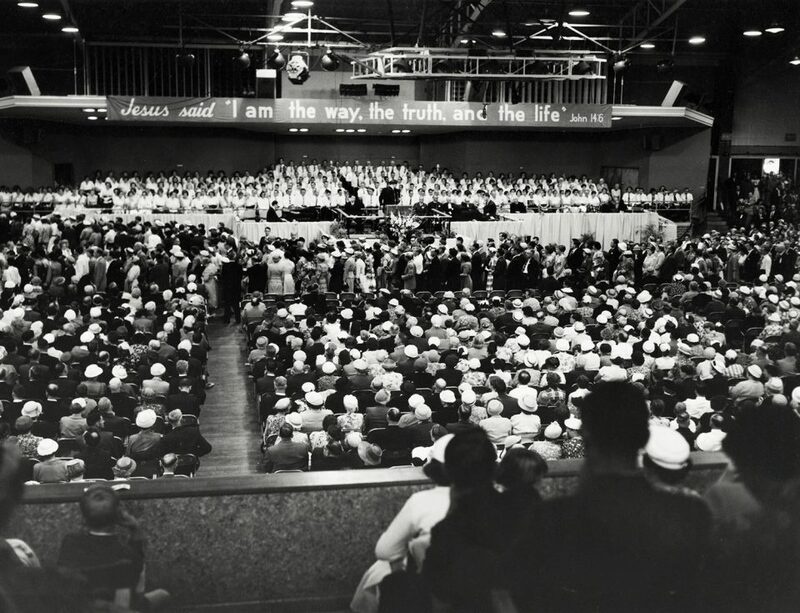 The Melbourne Crusade began at an indoor stadium, but it couldn’t hold the crowds. 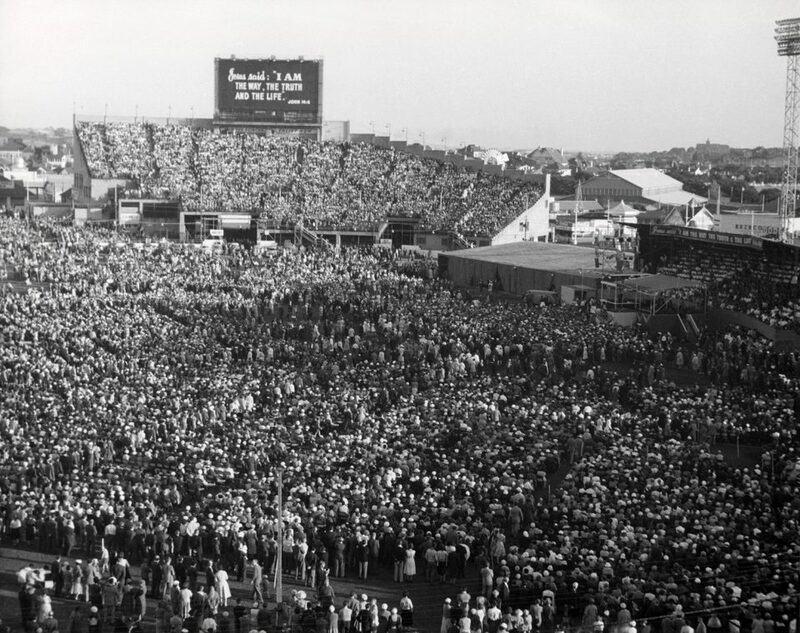 The events were moved to larger and larger venues, with the final service taking place at the Melbourne Cricket Ground. 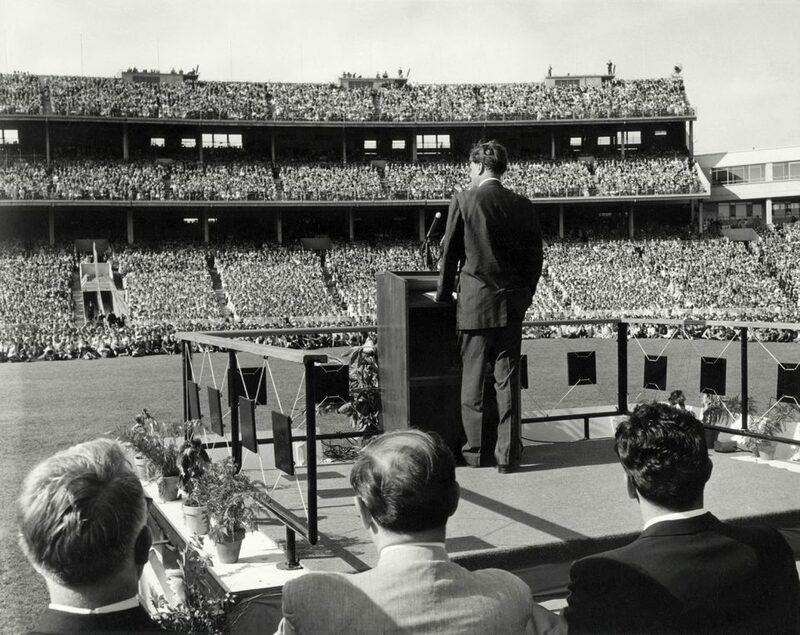 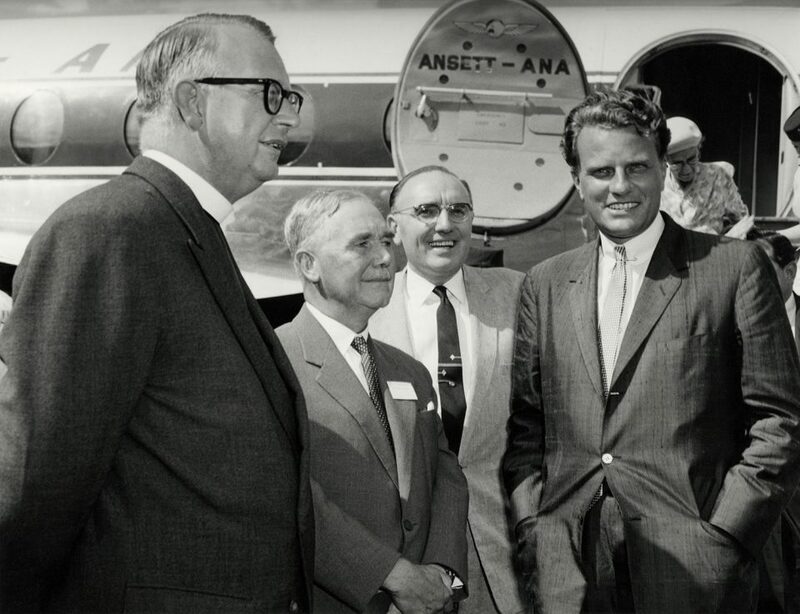 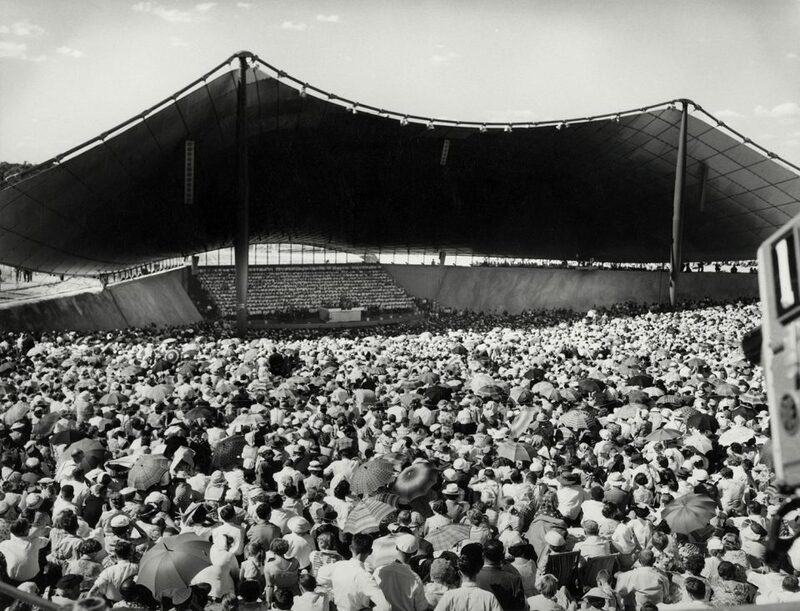 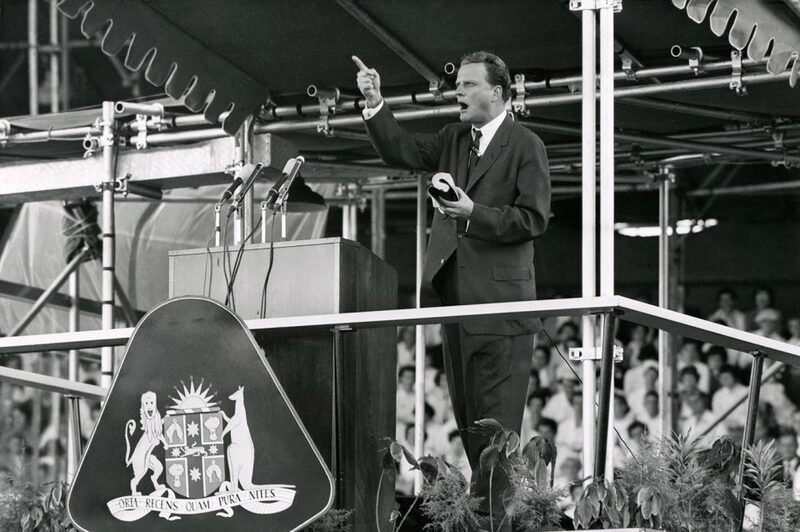 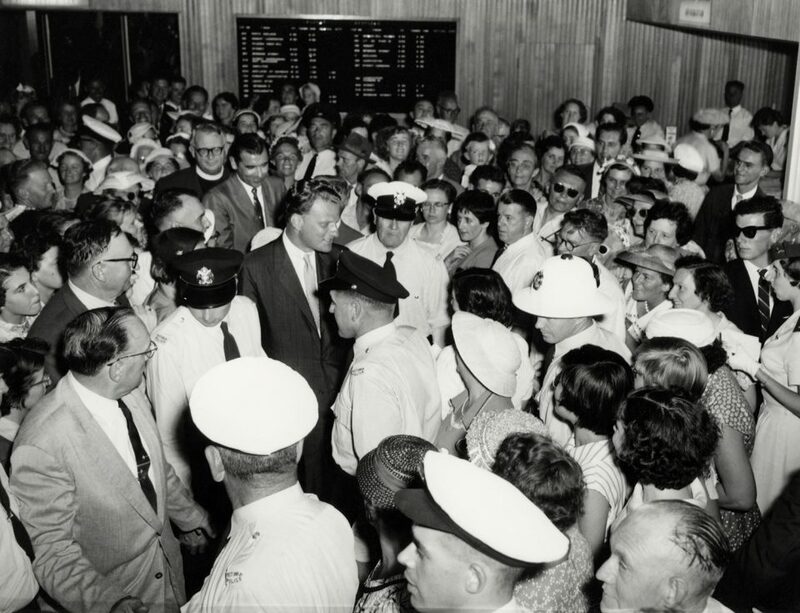 “In 1959 Billy Graham conducted the largest Crusades in our history in Sydney, Australia,” William Petterson recently shared with the Billy Graham Evangelistic Association. 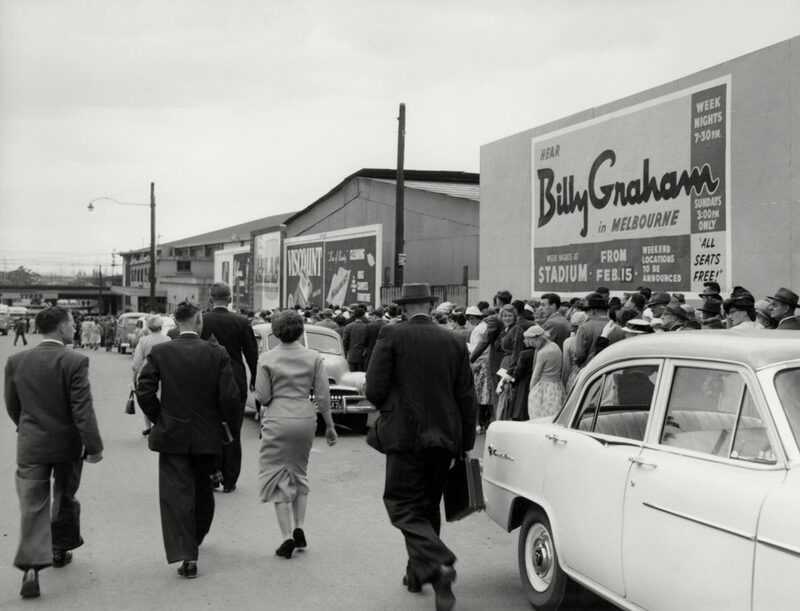 “I surrendered my life to Jesus and responded with hundreds of others, as Billy told us of God’s great love for us in the cross of Jesus Christ.” Read more stories about the impact of the 1959 Crusades. 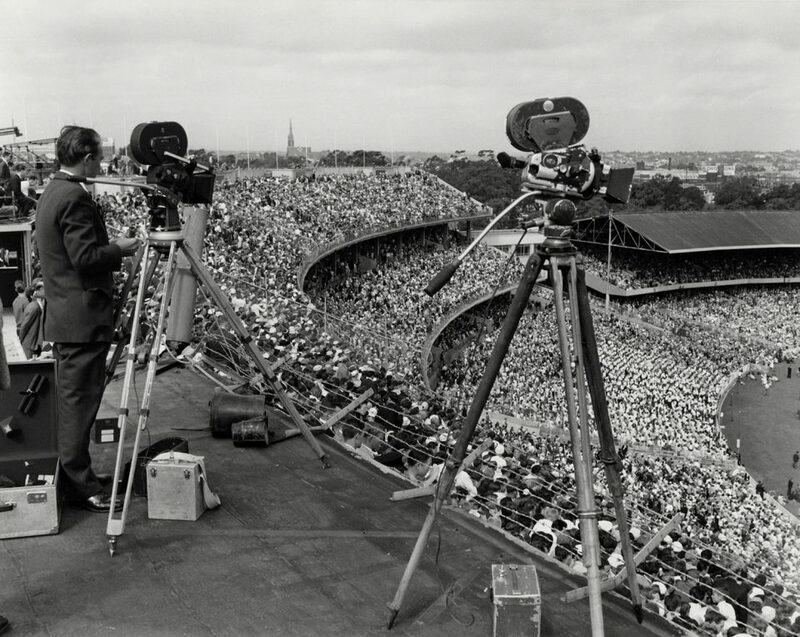 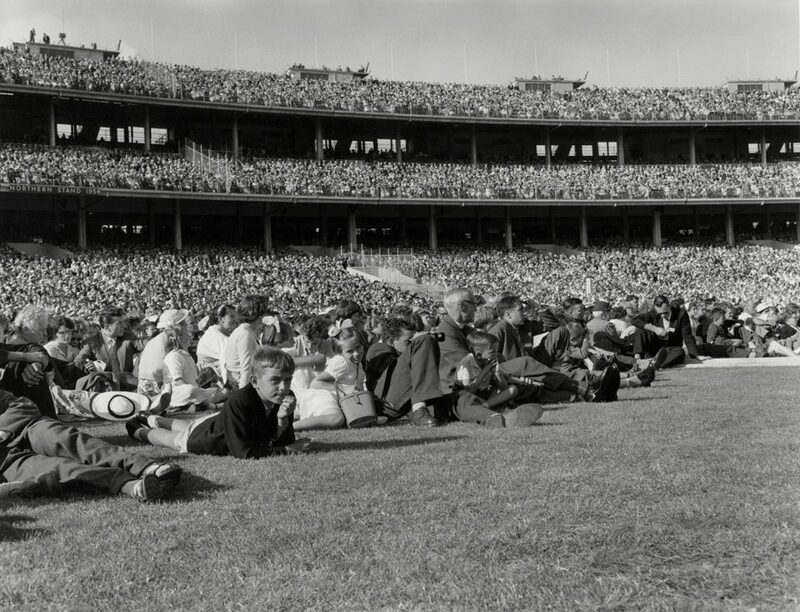 Many of Billy Graham’s messages were broadcast across Australia, allowing the Gospel to penetrate the whole country. 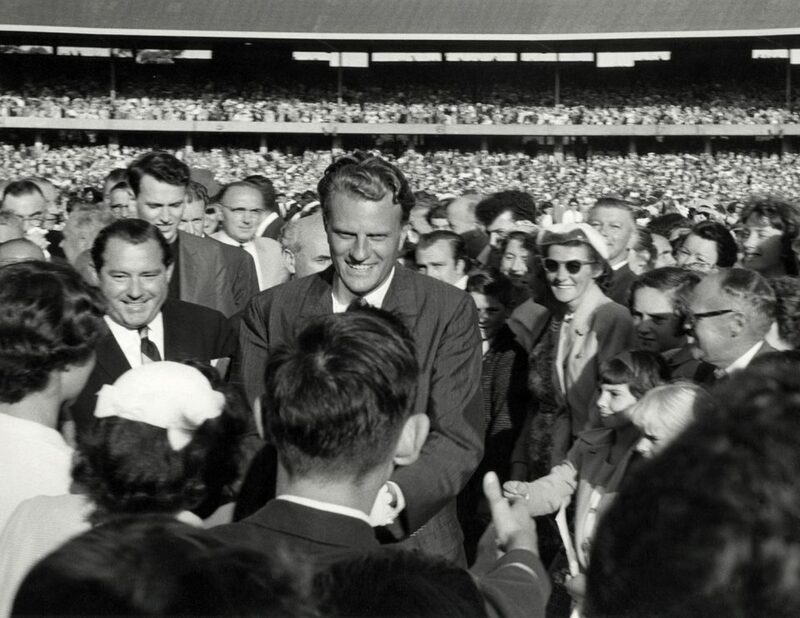 Watch a portion of one of Mr. Graham’s messages from Melbourne. 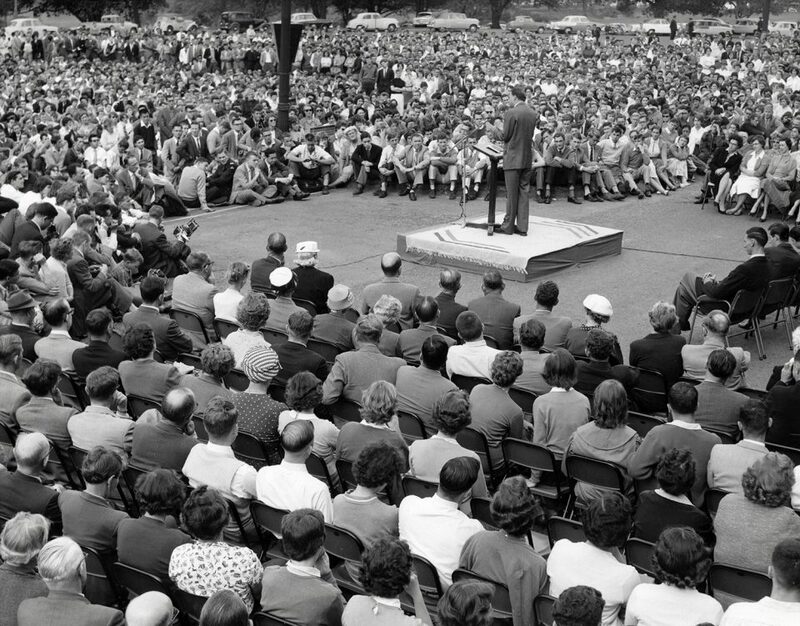 Cliff Barrows, Billy Graham’s longtime music director, passionately led massive Crusade choirs at each event.